Fr. 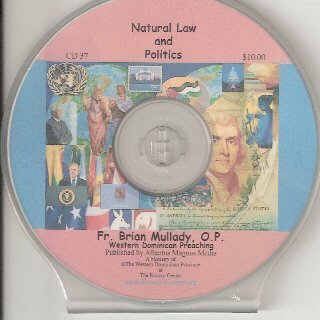 Brian Mullady OP explains what Natural Law is, using reason, scriptures, philosophy and The Splendor of Truth, to relate it to our private conscience and our public duty. CD - $10.00.